The accessibility of the Inn, its serene setting, and the personal service of the staff create an ideal site for multiple-day conferences, last-minute meetings and important New Jersey corporate events. Our seasoned planning professionals will help with the details of your Somerset meetings, including room blocks, venue needs, catering services and audio-visual guidance. From the elegance of our Grand Washington Ballroom to the intimacy of the Grain Room, the Olde Mill Inn offers the most uniquely exquisite venues for North Jersey events. Impress clients and associates with premier private dining at the Grain House, a one-of-a-kind setting for corporate dinners. 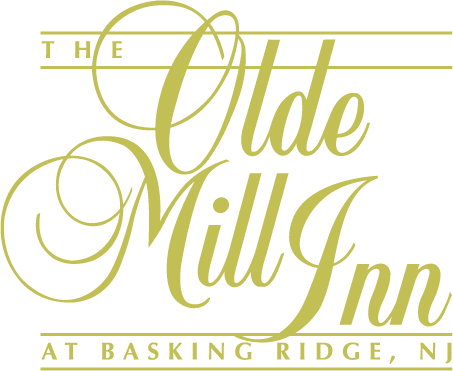 The Olde Mill Inn offers 18 private rooms accommodating 5 to 500 people for general sessions and breakouts. Current technology is provided in traditional and historic settings. We feature special rates for business and corporate travel. Visit our reservations page to learn more and book rooms. For group rates, call 908-696-2315 to speak with an event planner.